Because the channel won’t be enjoying anything but the sound of nature A fresh regional radio channel has established, but don’t expect to hear the usual mix of music and commentary. 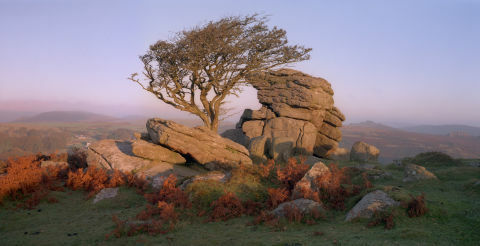 The station, called Skylark, will broadcast a soundscape of Dartmoor, the lovely and rugged national park at Devon. There won’t be any graph toppers, presenters or information on the channel but merely a mix of these sounds from the local area, such as people’s perceptions, sounds of wildlife, weather and the altering seasons. It seems like a very soothing, relaxing and flirty channel to us. The sounds will probably be pre-recorded in workshops by local colleges and neighborhood groups, while at other times will be broadcast live from listening factors across Dartmoor, The Telegraph reports. Since the channel is set to open community studios where people can record themselves if you’re a local to the area, you may get involved with all the records. “A radio channel may be an artwork,” said Lucinda Guy, the station’s job director told BBC Radio 4 Now programme. A license to broadcast was granted by Ofcom a month on the basis that “the planned service could quite clearly broaden radio choice in the area” and benefit south Dartmoor’s community. It seems to getting in touch with 11, this new approach is very popular. Last year, BBC Four gained nearly a million viewers on its All Aboard! The nation Bus programme, which recorded footage from the dash cam of a neighborhood bus at the Yorkshire Dales. The air contained no commentary or music. Skylark’s output is principally for local people in Devon via radio although some clips will be available on the internet.